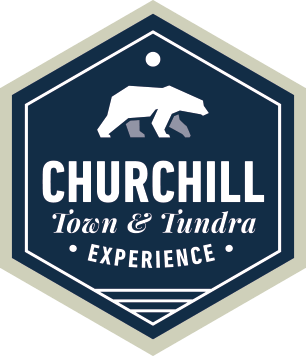 The Churchill Town and Tundra Adventurer includes full-day Tundra Buggy excursions in the Churchill Wildlife Management Area (CWMA), where polar bears await the freezing of the Hudson Bay. Guests will spend plenty of time watching these majestic mammals, and other arctic wildlife, in their natural environment. 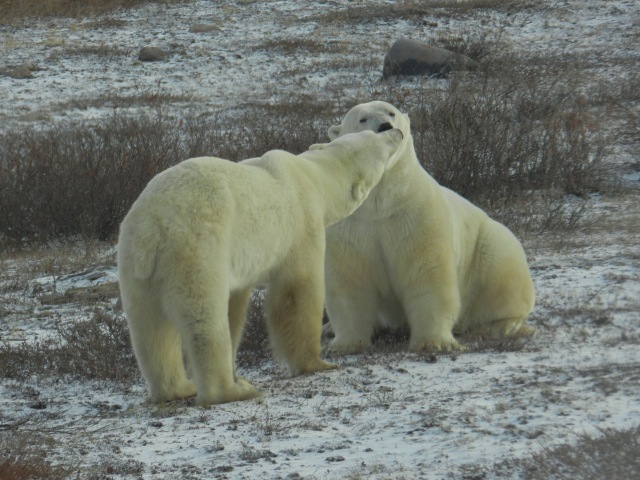 An ideal adventure for guests who want to experience the wondrous charm of the town of Churchill while also spending time viewing Churchill’s incredible polar bears. I flew into Winnipeg today and I am so excited to go on my Churchill Town and Tundra Adventurer tour! My home for the night is the Four Points by Sheraton Hotel, which is just across the street from the Winnipeg airport. After checking in, I head to an evening meet and greet held by a representative from Frontiers North. This gave our group the chance to ask last minute questions and learn more about what our adventure holds. Today we are going to Churchill! We see our Frontiers North representative one last time to hand off our luggage and ask any final questions. After a very early breakfast at our hotel, our tour group boards a warm bus for the short ride to the private hangar from where our plane will depart for Churchill. The flight is two and a half hours. Upon arrival, we board a bus and head straight out on an interpretive transfer into Churchill. The bus driver points out areas of interest in and around Churchill and gives us some background on the town itself. We even had a stop at the Polar Bear Holding Facility (formerly known as the Polar Bear Jail). After the tour we check into our hotel and have the rest of the day free to explore on our own. I choose to visit the Churchill Itsanitaq Museum, which is home to an enormous collection of Inuit artifacts and has an incredible little gift shop where visitors can buy local Inuit art and carvings, books and other gifts. I also spend plenty of time exploring the many little shops that Churchill has to offer. Others in my group took the opportunity to try out dog sledding and one couple even booked an hour-long helicopter tour over the tundra - they said they saw lots of bears along the coast! Both groups said that Frontiers North helped them book these additional activities in advance. What a great idea! It’s our first day on an official Tundra Buggy! I made sure to bring my sealable, reusable travel mug with me after reading this blog. After breakfast, our group is picked up from our hotel and transferred out to the Tundra Buggy Dock where we board our Tundra Buggy. After a safety speech from our Tundra Buggy driver, we hit the trails and travel into the Churchill Wildlife Management Area (CWMA)! Our Tundra Buggy Driver navigates the bumpy trails of the CWMA in search of polar bears and other arctic wildlife and points out interesting facts about the area’s geology and history. We enjoy a delicious picnic lunch right on the Tundra Buggy as we watch and photograph wildlife. At the end of an incredible first day on the tundra, we return to town for dinner on our own and a relaxing evening. What a great day! As our day comes to an end, so does our time in Churchill. We are transferred back to the Churchill airport for our return flight to Winnipeg (there is a light meal served on board for dinner). When we arrive in Winnipeg we check back in to the Four Points by Sheraton Hotel. The night is ours to do as we wish, which gives me a lot of time to look over all the photos I took! I wake up happy, thinking back on my wonderful polar bear adventure. What an amazing experience! Today I check out of my hotel and head home, ready to share my adventures with family and friends! "Everyone from booking trip to actual experience helpful, enthusiastic, and knowledgeable. They seemed to enjoy their work and wanted us to have a good experience!"